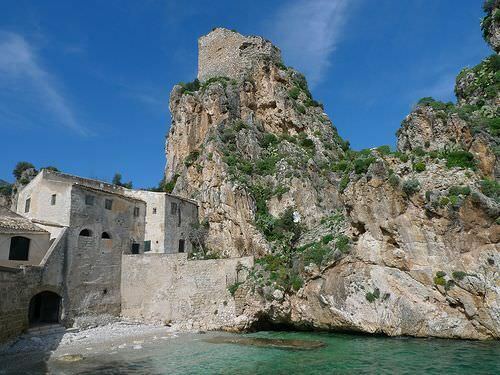 The arab "baglios" are probably the most typical buildings in the territory of Castellammare del Golfo, historically and architecturally speaking, together with towers and tuna traps. 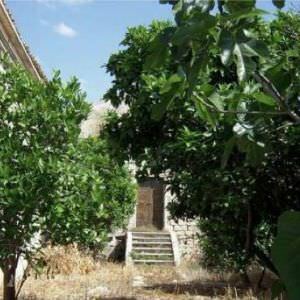 The name has uncertain origins: it could stem from late-Latin ballium, a courtyard surrounded by fortifications, or Baiuolo a regional official who lived in such structures, in charge of settling disputes among feudal lords; another theory - the most reliable – is that the name comes from the Arabic bahal, which indicated the courtyard. 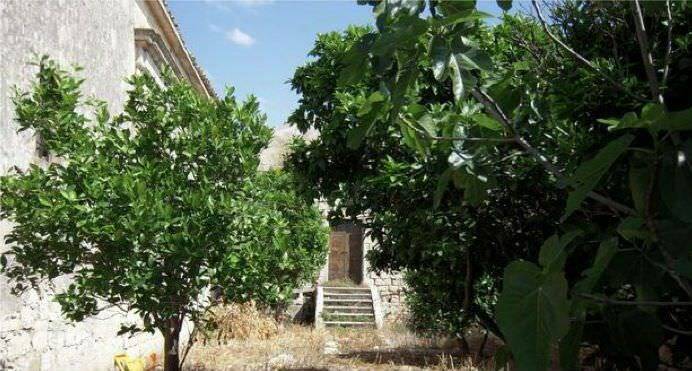 In Sicily, the Baglios are a sort of fortified farms with large courtyards and their origin is linked to the "colonization" by local lords and barons (between the sixteenth and eighteenth centuries) of inland and uninhabited areas of the island. 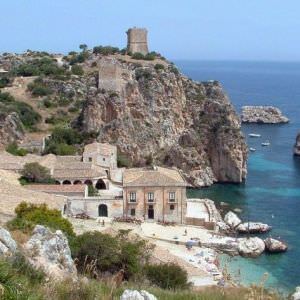 The baglios then represent the manor and latifondium, in Sicily which sustained at that time the profits of the upper classes. 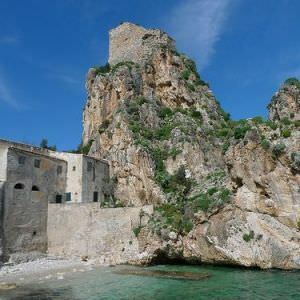 Different in structure (sometimes similar to fortresses or castles, some other to mansions), the baglios are characterized, however, as fortified residential areas to serve the activities of manors managed by landowners and farmers. 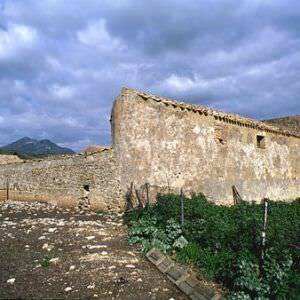 The baglios were then equipped with a large number of accommodation (such as to allow, at the same time, the community and the separation of those who lived there, allocating the upper floors to the "master" and his family and the lower to the peasants) and areas for harvest storage and animal housing. 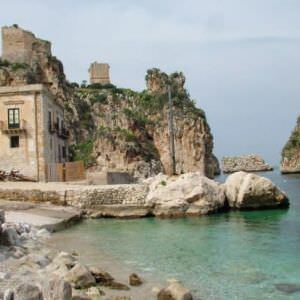 The most common form of baglio, in Sicily, is the so-called "a corte" (court-shaped), in which the facilities were all grouped around a central courtyard. There was only a single opening communicating with the outside, allowing at the same time a better control of incoming and outgoing as well as better chance of defense. 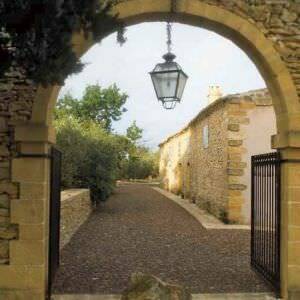 Today, especially in rural areas, it is possible to admire such structure, often deeply renovated to become holiday house and modern farms. 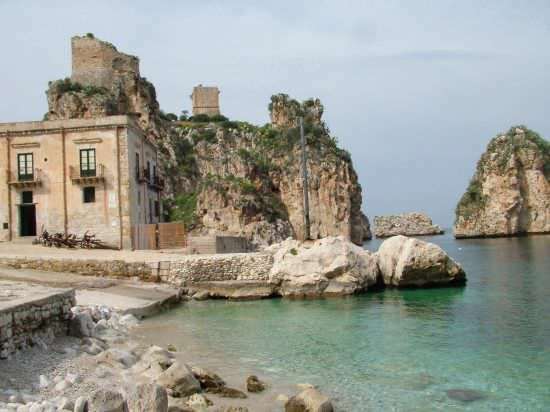 The suggested route (that is just one of the possible routes) starts from Scopello. 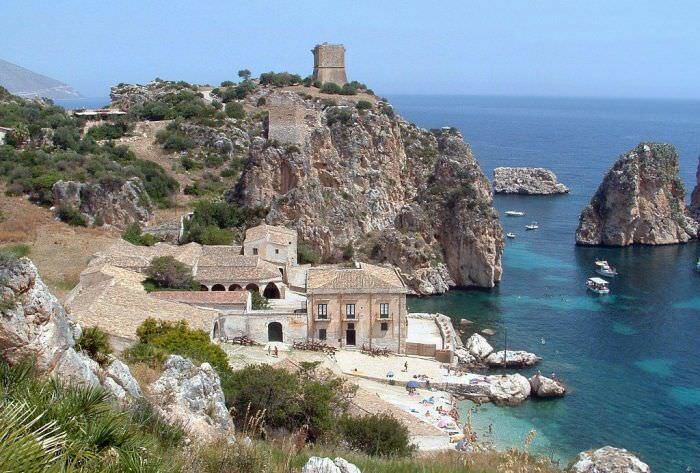 From S.S. 187 (towards Trapani), taking the right fork to Scopello, we arrive to Guidaloca bay, dominated by a cylindrical tower (XVI century), overlooking the coast. 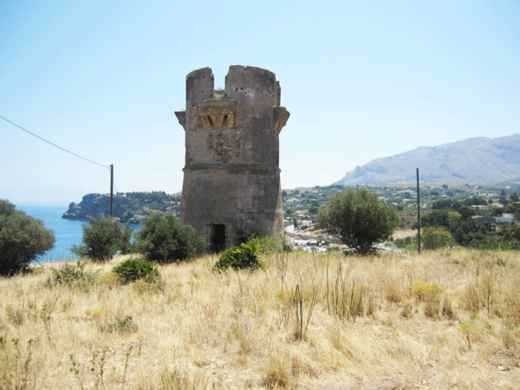 After about five kilometers, the Tonnara of Scopello peeps between two towers, the first of which dating back to the thirteenth century, (only a few ruins now), the other made by the architect Camillo Camilliani (XVI century). A little further up is the village, a charming cluster built around the eighteenth-century peasant beam (the baglio), probably built itself over existing structures dating from the Arab-Norman, with stone foundation still visible in the northern and western sides. 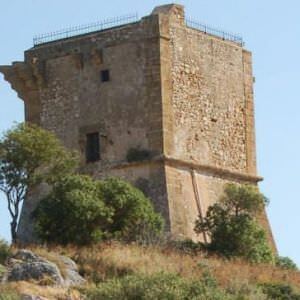 Higher, on a cliff overlooking the village and on the same line of the tower above the Tonnara, there is the tower Bennistra, dating back to the sixteenth century. 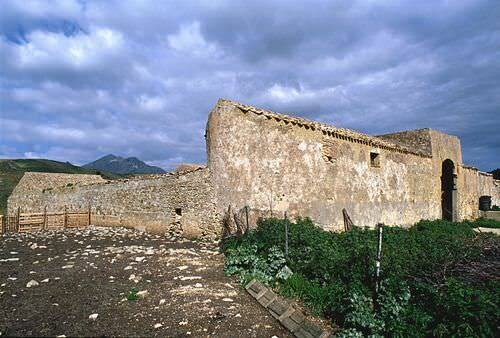 The route continues (going back to the first junction) towards Viscàri, where there is a rural settlement which is an excellent example of spontaneous architecture. 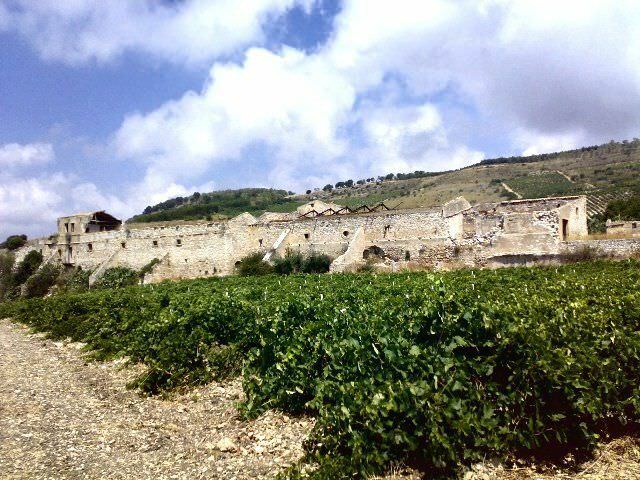 A few kilometers away, the Castle of Baida, with some parts of the old fort, the remains of the octagonal corner towers, and the prospect still intact and surmounted by battlements. 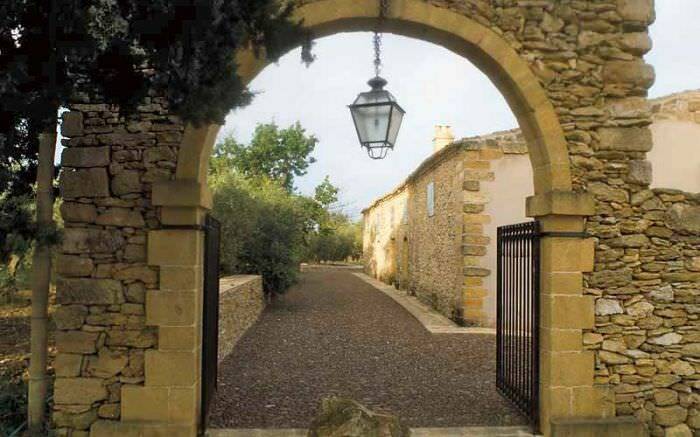 Going even further we come to the eighteenth-century village of Balata di Baida. Back on SS 187 and continuing for approximately three kilometers, the road on the left that leads to the Castle of Inici, before reaching the Baglio Strafalcello, one of the most beautiful architectural complexes of the territory, where it is possible to admire a great landscape, ranging from Guidaloca bay to Mount Erice. After seeing the close Baglio Fontana, the road leads to the Baglio Lisciandrini (in dialect, Sciannirini), whose name seems to derive from the Latin Sancta Irini (Santa Irene), then turned into Sciant Irini in the Arab era. It seems that Saint Irina was dedicated the Byzantine church located inside the baglio, as inferable by the ceramic surface. 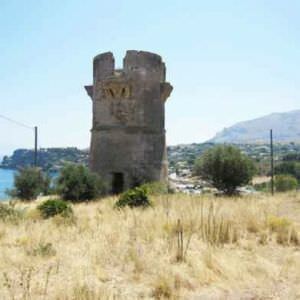 Particularly interesting is the location of this baglio, strategically on the route between Segesta, the Bay of Guidaloca and the ancient site of Cetaria-Scopello. The road leading to the Castle of Inici is characterized by its charm: here are the so-called "Gorghi Neri” (Black Gorghi), a stream of water flowing in a deep gorge, rich in vegetation. 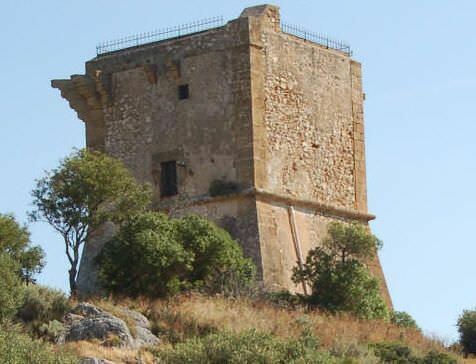 After the climb, you reach the Castle, with its majestic structure dominating the entire landscape. 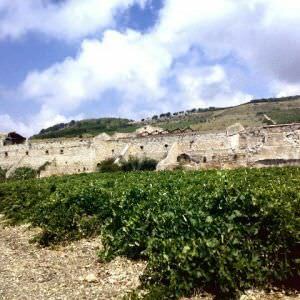 Tradition tells us that the castle, built in the eighteenth century and then passed in the hands of Arab, Norman, Swabian and Angevin, stands in the center of the legendary City of Inico.